 Our Veterinarians are supported by our Management Team, Licensed Veterinary Technicians, trained Veterinary Assistants, Client Care Representatives and Pet Care Team. Deb has been with the practice since 2010. She has two dogs named Livie and Zeke. In her spare time she enjoys running, reading, and forestry. Sean has been with the practice since 2016. He is pictured here with his 4 year old pit bull named Roman. In his spare time he enjoys camping, running, hiking, traveling, and spending time with Roman! Casey has been with the practice since 2010. She has three dogs; Ruger (pictured! ), Bailey and Meri. In her spare time she enjoys her family and working on her new house. JoLynn joined our team in 2013. She has a degree from SUNY Delhi in Veterinary Science. In 2018, she received her certification as a Veterinary Technician Specialist. She is one of only 3 in the entire state to achieve this certification! Her pets include two cats; Hagrid and Superman as well as four dogs; Clifford the Saint Bernard, two Pomeranian/Terrier mixes, Joey and Mackey, and forever in hear heart, Sydney. In her spare time she enjoys jamberry, camping and baking. Lyndsea joined our team in 2018. She has an Associate's Degree in Veterinary Technology and a Bachelor's Degree in Veterinary Administration from SUNY Canton. She has a cat named Frank and hopes to add a puppy to her family soon! In her spare time she enjoys reading, hiking, or anything that gets her outside. What she enjoys most about being a Veterinary Technician is she knows she plays a role in keeping pets healthy and happy everyday! Carol joined our team in 1997. She has a B.S in Medical Technology as well as an A.A.S in Veterinary Technology. Her pets include three cats. and her 8 year old Lhasa Apso, Audi. In her spare time she enjoys gardening, family and figure skating. Chris joined our team in 1987. She has an Associate’s Degree in Applied Science. She has one cat, JT. In her spare time she enjoys hiking, biking and snowmobiling. Karyn joined our team in 2000. She has an Associate’s Degree in Veterinary Technology. Her pets include a Boston terrier named LuLu as well as one cat named Eve. In her spare time she enjoys traveling and spending time with her daughter and friends. Katie joined our team in 2013. 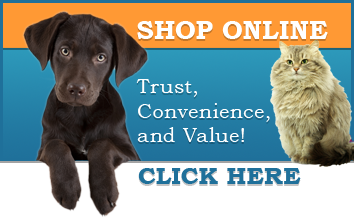 She has an Associate’s Degree in Veterinary Technology from SUNY Canton. Her pets include one cat named Hemingway. In her spare time she enjoys traveling, camping and hiking. Sophia joined the team in December, 2017. She has an Associate's degree in Multimedia Graphic Design as well as an associate's in Veterinary Science from SUNY Delhi. Miko is her cat-sidekick! She enjoys gardening, hiking, travel, Japanese culture and making art! Kayli joined our team in 2018. She has an Associate's Degree in Veterinary Technology from SUNY Canton. Her pets include 2 dogs, a Labrador Retreiver named Harper (pictured!) and a Lab/Boxer mix named Teegan. She also has 3 cats: Jackson, Hudson, and Kai. In her spare time she enjoys traveling, hiking, camping, reading, and spending time with family. Her philosophy is to 'always speak for those who have no voice'. Mariah joined our team in 2018. She graduated from SUNY Canton in 2016 with a Bachelor of Science in Veterinary Technology. She is from Clayton, NY but currently residing in Syracuse while attending SUNY Upstate Medical University. She has 3 kitties named Hudson, Baby Kai Kai, and Jackson as well as a lab/boxer mix named Teegan (pictured) and a crazy Chocolate lab named Harper. In her spare time she loves taking her doggos to Jamesville Beach Dog Park to go swimming. She became a vet tech to help those that can’t help themselves and provide the best care she can for our furry loved ones. Leah joined our team in 2011. Her pets include three cats; Rudy, Mona and Roz, Conrad the fish, and Rallye the Shiba Inu. In her spare time she enjoys hiking with her dog and anything pertaining to Jeeps. Ernesa joined our team in 2011. In addition to being an Assistant, she also co-manages our boarding department. She has an Associate’s Degree from Onondaga Community College. Her pets include two cats; Rhea and Artemis and a German shepherd named Aila. In her spare time she enjoys hiking with her dog, biking and photography. Laura joined our team in 2015. She has a B.A in Psychology. Her pets include three dogs Sydney, Zoe and Charlie, three cats; Issabella, Haylee and Star, and three hedgehogs; Jupiter, Pandora and Paxton. In her spare time she enjoys rescuing and working with challenging cats as well as playing the piano. Sarah joined our team in 2016. She has two dogs; Isis Nefertiti and Ryker, as well as two axolotls and Chico the cat. Forever in her heart will be Bloo Regard Q. Kazoo. In her spare time she enjoys camping, video games and music. Alicia joined our team in 2017. She studied Music Merchandising at Onondaga Community College. She has two cats; Sienna and Sierra and a chocolate lab named Ruger. In her spare time, she enjoys camping, kayaking and relaxing with a good book. In addition to her Assistant duties, Alicia also is our Social Media coordinator! Tess joined the team in 2008. She has a B.A. from Syracuse University as well as an M.S. from SUNY ESF. She is the proud mother of 2 cats: Ninja, and Bartlebee! In her spare time she enjoys hiking, drawing, and time with her family. Amy joined our team in 2017. She has plans to attend college for Animal Science. She has two cats, Lager and Grey Goose and a box turtle named Mr. Tucker. In her spare time she enjoys horror movies, bonfires and quality time with her cats. Kacey joined our team in 2017. She is currently studying Veterinary Technology at Medaille College. Her pets include a dog named May, as well as a cat named Simba. She also has two horses; Mouse and Koa. In her spare time she enjoys horseback riding, photography and graphic design. Amy joined our team in 2018. She is a graduate of Fordham University and will be pursing a degree as a Veterinarian. She is pictured here with Jager, her sheperd, and Titus, her boxer. Hayley joined our team in 2018 after moving from Montana. She attended Montana State University and received a Bachelors degree in Microbiology: Pre-Veterinary. Back in Montana she has 4 pets: Harry the Welsh Corgi and three kitties named Buddha, Phoebe, and Skid. She’s looking forward to exploring New York more and adopting a new furry friend soon! Sommer joined our team in 2018. She lives in Syracuse with her husband, four dogs- Diesel, Dudley, Sirius and Charly, and two cats - Willie and Pan. She has been working on her Associates Degree from the Community College of Vermont, and plans to pursue a Bachelors degree at a local NY school afterwards. When not at work or school, Sommer loves to hike, ski and go on adventures with her family! Taylor joined our team in 2013. She has an Associate’s Degree in Humanities. Her pets include two cats; Zander and Niklaus as well as her dog Brutus. In her spare time she enjoys boating, swimming and gardening. In addition to her client care coordinator duties, Taylor also co-manages our adoption program! Angela joined our team in 2009. She studied at Vermont Technical College. She has two dogs, Harry and Sugar. Angela enjoys spending time with her family, movies, and anything pertaining to Donnie Wahlberg. Kristi joined our team in 2015. She has an Associate’s Degree in Human Services from Onondaga Community College. She has one dog named Layla. In her spare time she enjoys shopping, softball and skiing as well as spending time with her family. Emily joined our team in 2018. She currently attends Le Moyne College as a Biology : Pre-Veterinary major and will be pursuing a degree as a veterinarian. She is pictured here with Brandi, her Saint Bernard, and Bentley, her English Mastiff. Outside of work Emily rides on the Le Moyne Equestrian team and loves to hike with her furry friends! Amy joined our team in 2018. She has over 25 years experience in customer service. A longtime resident of Camillus, she has 2 beautiful daughters and a cocker spaniel mix named Haley. Lori joined our team in 2018. She has over 20 years experience in the Veterinary field. Jon joined our team in 2013. He has a Bachelor’s degree in Business Administration and Sports Management. His pets include three dogs; Tanner, Trigger and Trinity and three chickens; Merryweather, Fauna and Flora as well as six goats! In his spare time he enjoys woodworking, farming and craft beer. Steve joined our team in 2015. He has an Associate’s degree in Engineering. His pets include seven dogs; Scootch, Apple, Daisy, Pepe, Pepa, Fire and Seven. In his spare time he enjoys animal rescue, running and training for the NYC Marathon and time with his dogs. Steve and his wife also own and operate Seventh Heaven Rescue. Catherine joined the team in 2017. She is pictured here with Moose (Jack Russel) and Marla (Australian Shepard)! Nicole joined our team in 2019. Mackenzie joined the team in 2019.